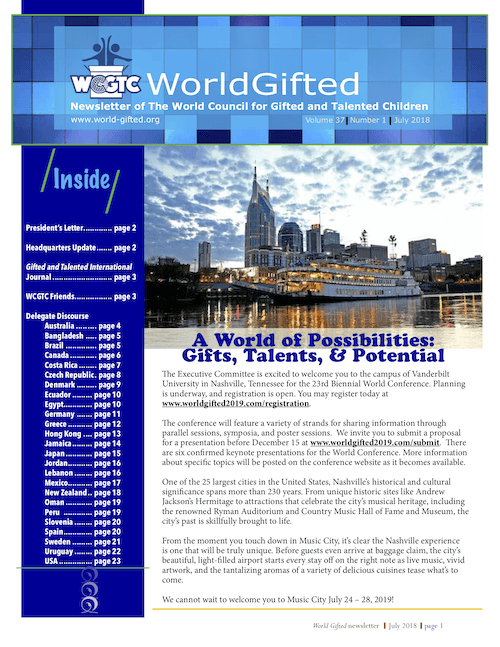 We are happy to announce details about our on-campus accommodation option for the 2019 World Conference in Nashville. 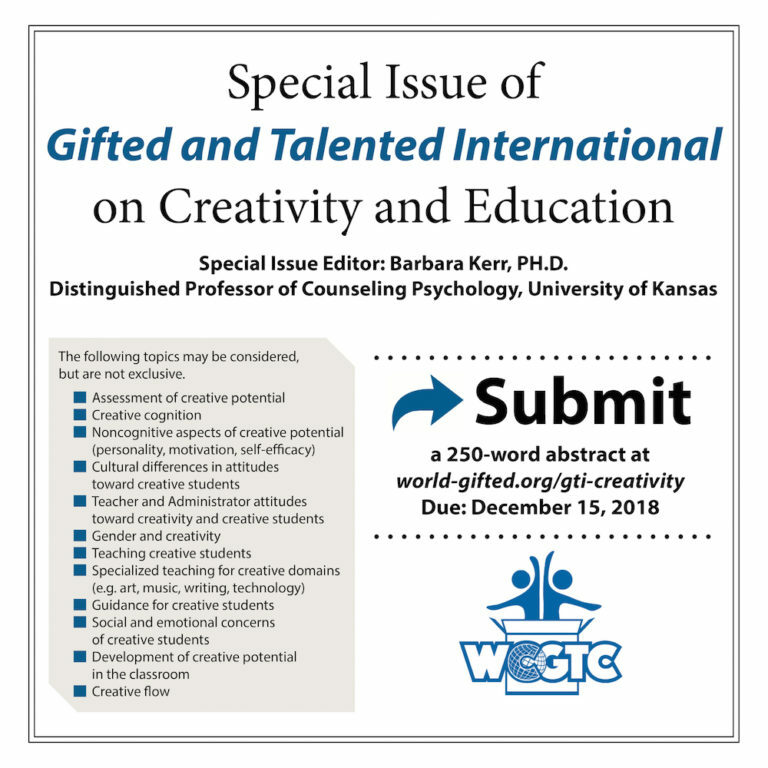 You may find details on the accommodations page at https://worldgifted2019.com/visiting-nashville/accommodations/. 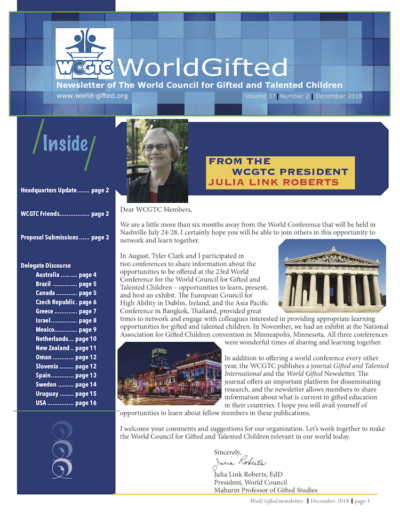 We look forward to seeing you in Nashville! 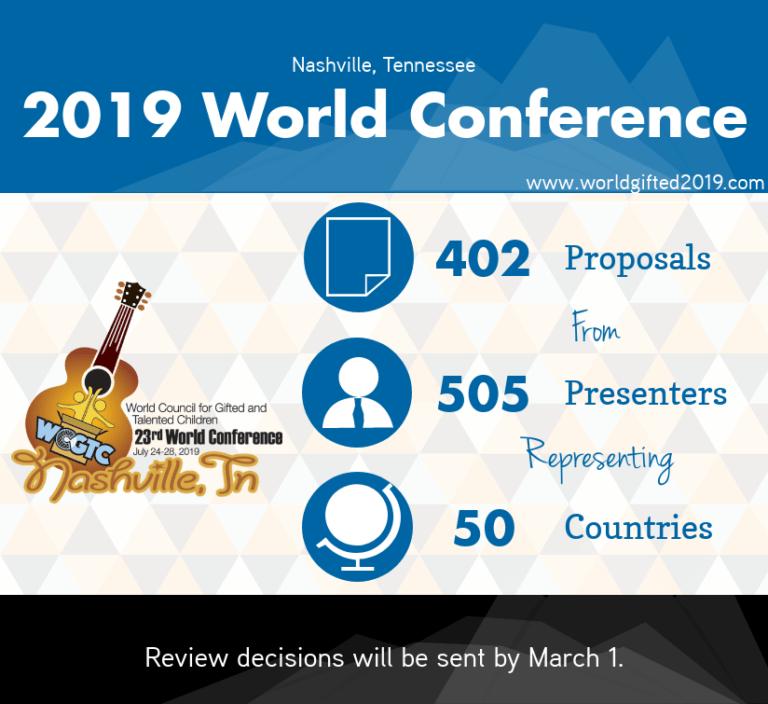 Thank you to each person who submitted a proposal to present at the World Conference in Nashville. 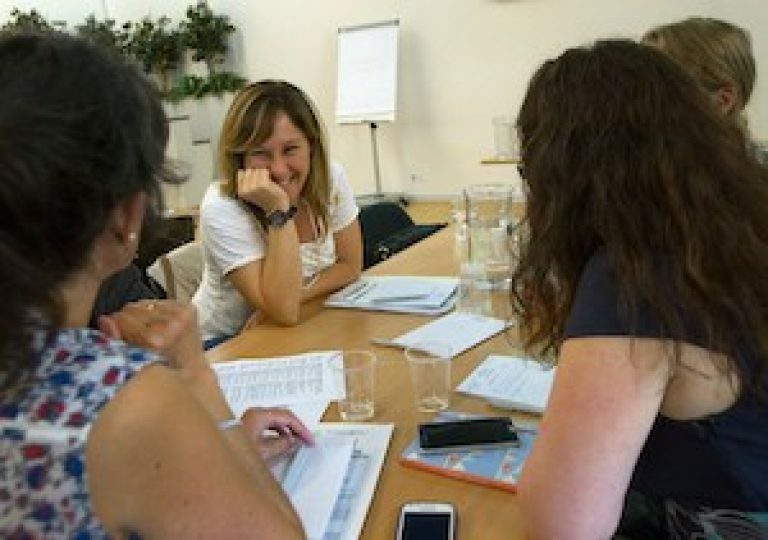 We received more than 400 proposals from 505 presenters representing 50 countries. Review decisions will be sent by March 1. 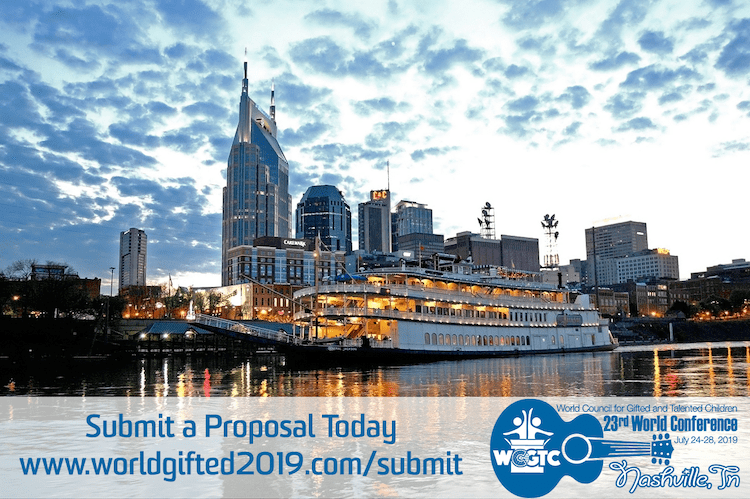 We are excited to announce the opening of proposal submissions for the 2019 World Conference! 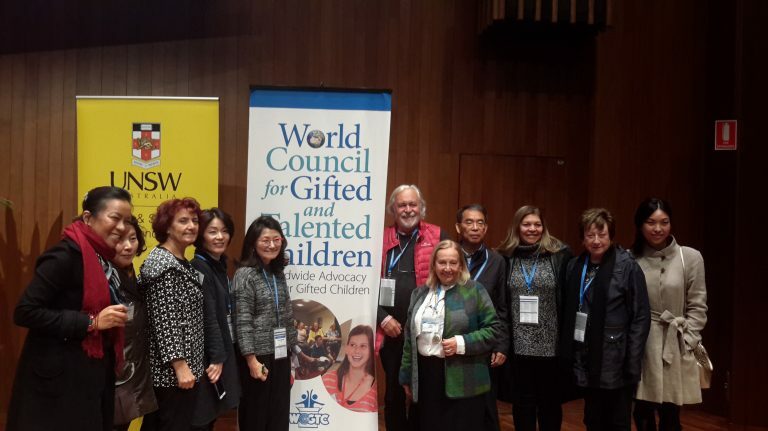 Please carefully review the submission guide on our website at https://worldgifted2019.com/submit/.